Members may now enjoy the trap field at their convenience. We completed the installation of the trap token system today. The system operates on tokens which members can purchase at the weekly Wednesday evening trapshoot or club meetings. The cost of tokens is $5.00 each and each token will allow 27 targets to be thrown. Anyone wishing to use the trap machine on their own must first contact Ron Schramm or Tal Parmenter to arrange a brief instruction on trap machine operation and safety. This can be conveniently done at any Wednesday evening trapshoot or club meeting. To use the trap field, members can open the trap house using the same lock combination as the gate lock. Once the trap house is opened up and the machine turned on, connect the release cord, which is stored in the club house, to the release outlet labelled “Token Release”. Insert tokens into the token slot to allow the desired number of targets you wish to shoot. The machine will then throw a target each time the release button is pressed until your alloted number of targets is exhausted. The system operates on tokens only. It will not accept cash. For those wishing to shoot alone, the system has a “delay” option switch. Move the switch to the “delay” position and a target will not be thrown until 2 seconds after the release button is pressed so you can press the release button then get set for the release of the target. (Hang the button conveniently on your belt.) When the switch is in the “normal release” position, a target will be thrown immediately at the press of the release button. The mission of Prairie Central Sportsman’s Club is to provide a high quality, safe shooting facility for members to use at their convenience and we are very excited to offer this service to members. We are not aware of any other range in central Illinois offering this service. Don’t throw targets if you aren’t ready to shoot! Each target thrown will be deducted from your number of allotted targets. 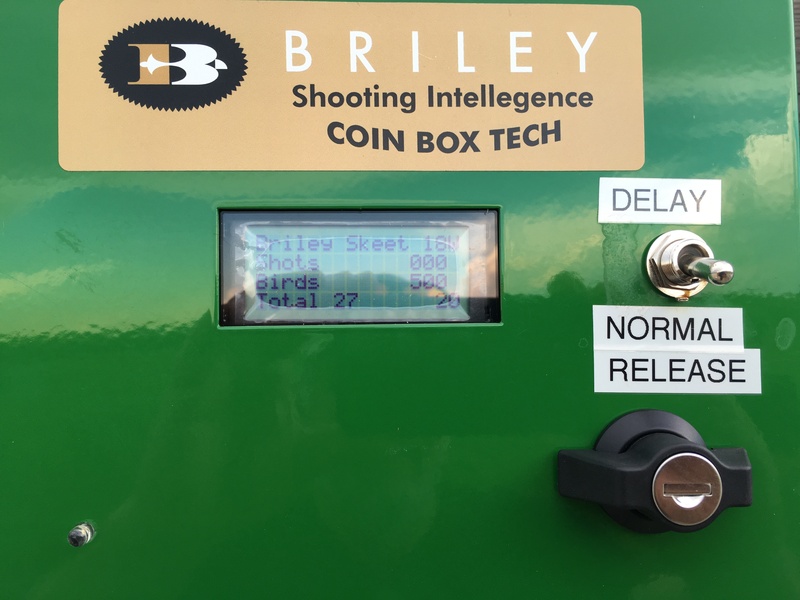 If you pause shooting when you still have remaining targets allotted on the machine, they will be deleted after 60 minutes. Your alloted targets remaining is displayed as “Shots” on the display screen. We will try to ensure that the machine is always loaded with targets, so it should not be necessary for you to load the machine. “Birds” on the display screen indicates the number of targets available in the machine.